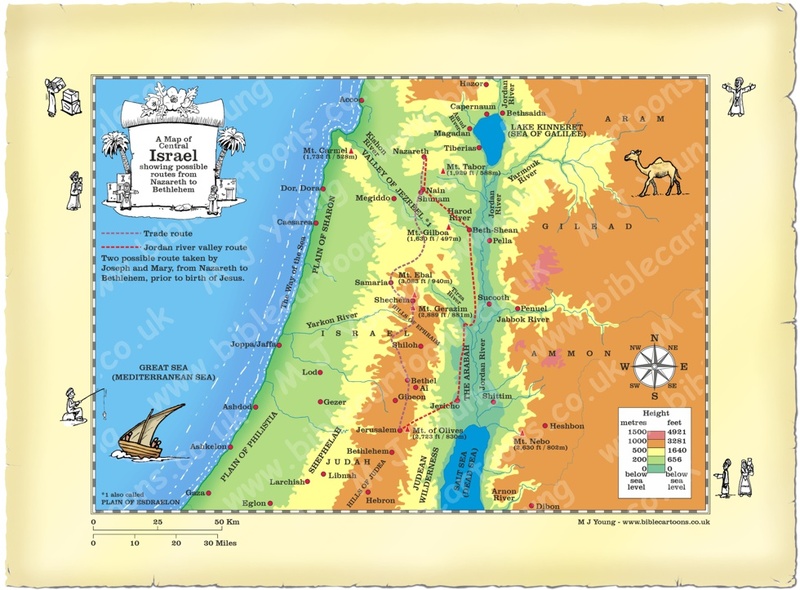 This is my map of Central Israel, showing two possible routes that Mary and Joseph may have taken when they journeyed from Nazareth in Galilee (Northern Israel) to Bethlehem (Southern Israel) just before the birth of Jesus. Bible Cartoon: Matthew 01 – The Nativity – Scene 04a – Just a stable? Or, royal astrologers; Greek reads magi; also in 2:7, 16.